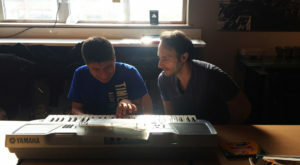 One of the main inspirations for Color Me Mozart was reaching the special needs community. 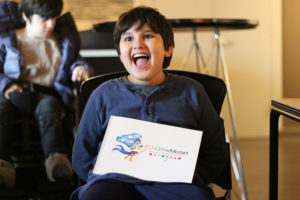 We wanted to provide children with an additional voice with which to communicate. Music is a powerful tool for any child because it’s a powerful means of communication and expression. 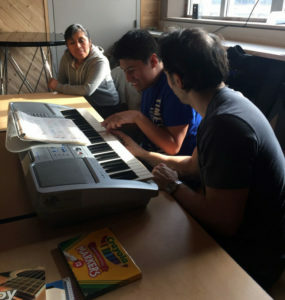 For many children with disabilities including autism, developmental delays, behavioral/emotional challenges, Down syndrome or ADHD, music is one of the most effective and significant techniques used in education supporting all children’s motor, mental, and language development. For the past five years, we’ve listened not only to students’ but also to parents needs. They shared with us countless times how important an avenue of communication was to them and their child. Therefore, creating a music learning system that was easy enough for parents with no musical training they use was important to us. Everyone knows shapes and colors and everyone loves music. Bringing the two together seemed natural and intuitive. Above all, it has to be fun and colorful. Everything came together and we presented to hundreds of special needs children over the last five years. As a result, many parents shared with us what a joy and gift it has been to bring music education into their lives. Families with special educational needs have unique challenges when seeking acivities that will resonate with their children. Likewise, if a certain activity doesn’t resonate they must look for others which is not always an easy thing. Color Me Mozart makes the introductIon of music a simple and easy one for any parent. We can certainly attest to the benefits of music as mentioned by Ms. Zinar. For instance, over the years we have seen music become a powerful expressive and communicative tool for the non-verbal child. 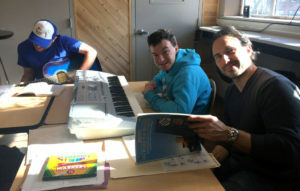 In his work as a music therapist, Adrian Edward sees daily how children using Augmentative or Alternative Communication (AAC) devices often request songs as a preferred activity to do within the class session. We believe the same to be true and we have seen it time and time again. Bringing the joy, expressiveness, and power of music to the families and classrooms with special needs was at the forefront of our goal. We are proud to be part of some great programs that serve this wonderful community. 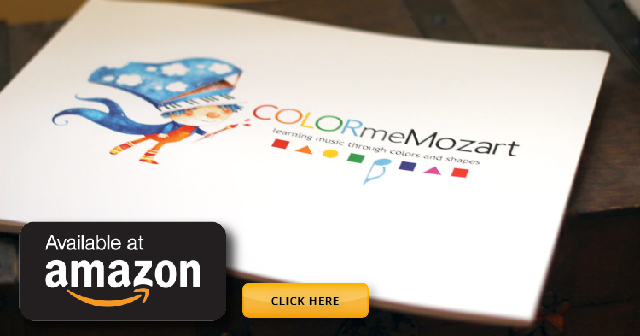 One of the main characteristics we wanted for Color Me Mozart was to make it simple for parents and teachers. This meant a system that didn’t require prior music knowledge. With the use of shapes and colors as the foundation, any parent or teacher can offer their children music easily and effectively. And we have great news to share! We are in the process of developing an accompanying xylophone that will coordinate with the book. For those that don’t have access to a keyboard, this will provide an additional tool and instrument for your child to use and bring the songs to life. The best part is that you can learn too!